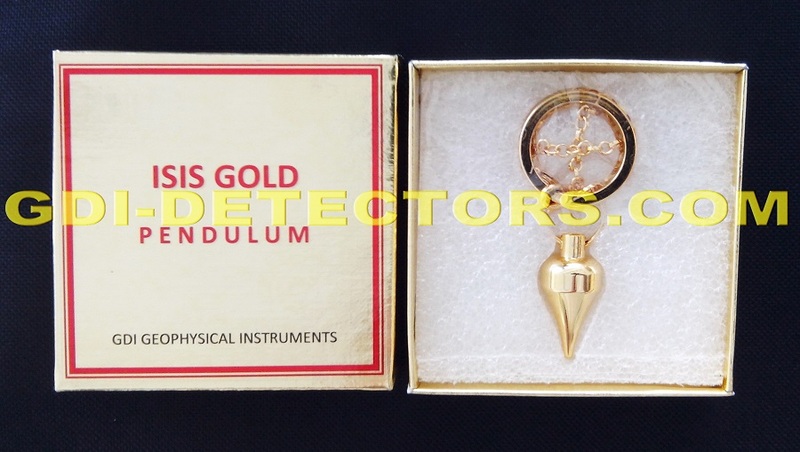 MINI TITAN is the pendulum for starters in gold dowsing. 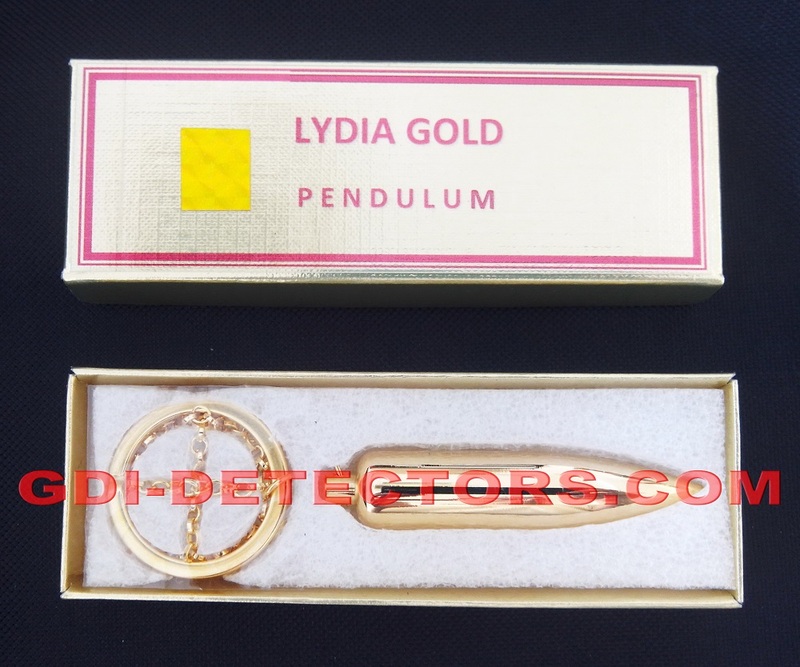 When using MINI TITAN pendulum for gold dowsing, hold also with it a sample gold target, this way a strong attraction is created to distant gold targets and selectivity when other kinds of metal exist nearby the search area. 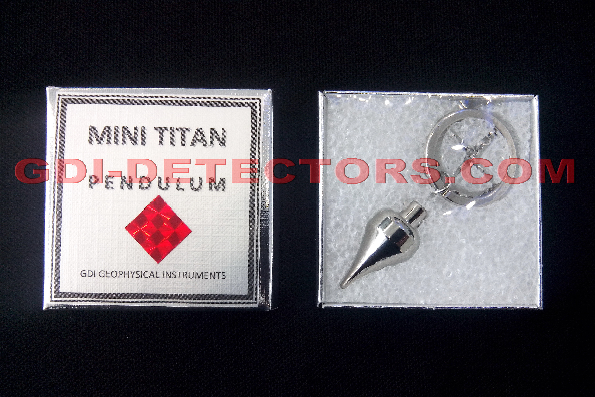 MINI TITAN dowsing pendulum has been designed to operate perfectly indoors. 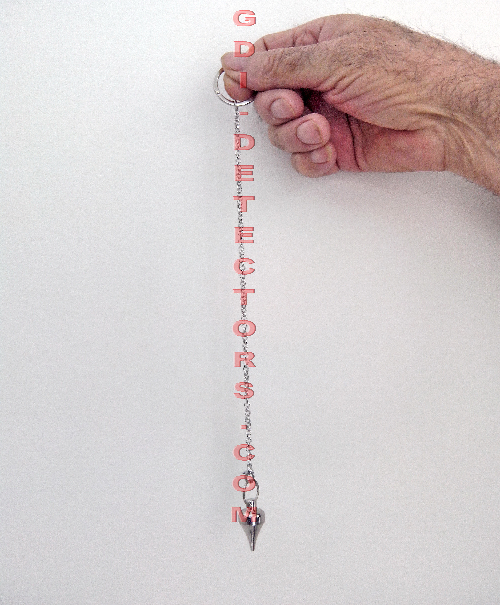 It is excellent for map dowsing, searching inside houses and other similar applications for searching small areas. 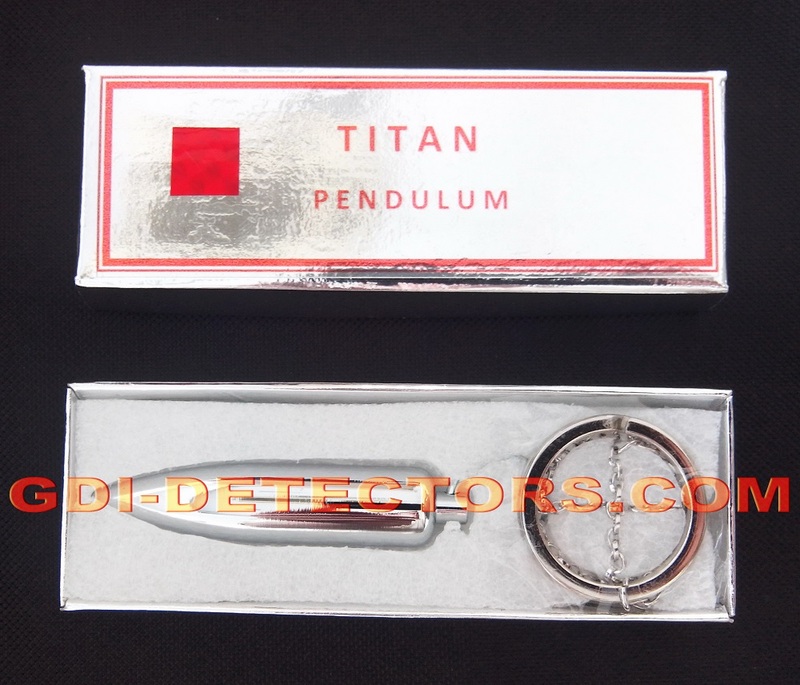 MINI TITAN pendulum sports a small size and it is the favorite choice for discreet operation, at places where it is difficult or even impossible to search. 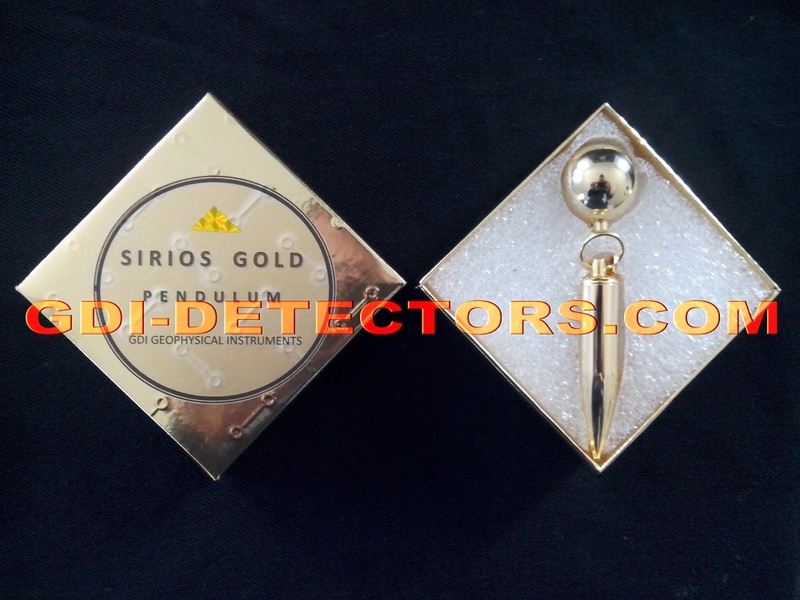 MINI TITAN pendulum is attracted by small and large gold targets. 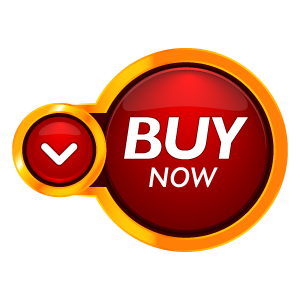 Offers considerable larger distance and depth capabilities over other pendulum types in the starters range, while it is priced lower than its competitors. 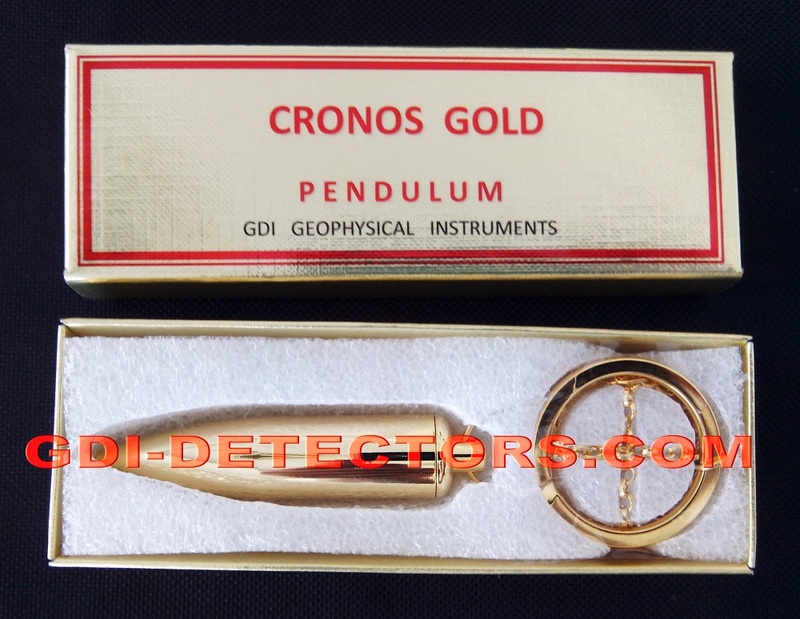 There are many places for which it is difficult or impossible to obtain permission to enter for the purpose of searching with gold detectors. MINI TITAN pendulum is designed specifically for such situations. 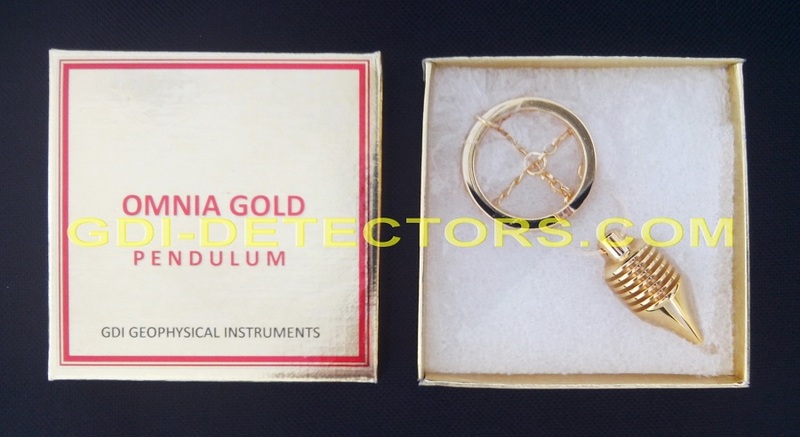 It is easy to enter in those difficult to obtain permission places with the dowsing pendulum for gold MINI TITAN, and take the necessary readings while no one sees. If someone approaches, MINI TITAN pendulum can be concealed quickly inside a pouch, which comes as an accessory for MINI TITAN pendulum. Operation of MINI TITAN pendulum is simple. When held as shown in the picture, MINI TITAN pendulum swings back and forth in a pendulum – line motion in line with the direction of the attraction. Additional readings are taken to find the location through the method of triangulation or you can just follow the direction that leads to the location. 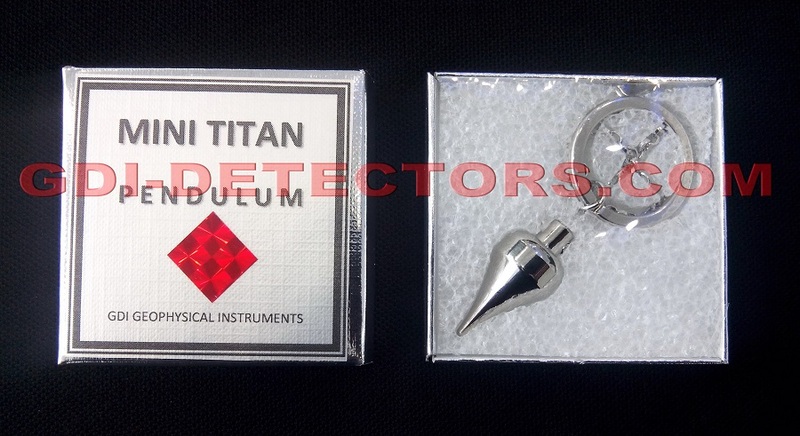 INTERESTED ABOUT DOWSING PENDULUM FOR GOLD MINI TITAN?